Dirty air is a sign of an unhealthy home, and it can be caused by the lack of attention to your air ducts and filters. 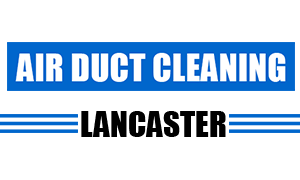 If you need someone to clean up your ducts and fix your filtering system, then you should call Air Duct Cleaning Lancaster. We are a duct cleaning service that specializes in cleaning and repairing vents. Our specialists are also well-versed in other fields like air filter cleaning, repair, and replacement. Duct problems are more than just dirt clogging the vents. Sometimes, it could be because the accompanying HVAC filter is probably suffering damage. In any case, they all lead to a dirty duct, and it will have a noticeable effect on the atmosphere unless something is done. While it will be a minor inconvenience at best for some people, it will be worse for those suffering from allergies. This makes air duct maintenance all the more important, and what better way to do that than to leave it to us? We use highly-advanced tools in cleaning and repairing your ducts. We can also replace your old and broken filters with new ones. Before we do any of this, we always begin our visit with an inspection of the vents to determine the cause. Best of all, we respond to all calls made any time of the day. Even if it is during the night, we will answer your call and deal with your problem. “Air Duct Cleaning Lancaster” provide solutions to all of your duct needs. You can reach us easily through your phone or through our online site. We provide value for your money with the way we work, so you can rest easy. Call us now!